You're only $50 away from free shipping! If you have nut allergies and suffer from eczema, time to turn that frown upside down! Eczema Honey now offers a nut-free version of our original cream. Our Nut-Free Eczema Honey Cream is made in a commercial-grade facility in new, first-time-use equipment that does not cross with any other products. And like the original, our nut-free version is designed to support people living with eczema for both their immediate and long-term needs. While we don’t claim to cure eczema, our founders, both lifelong eczema sufferers, spent years developing Eczema Honey to ease their discomfort and frustrations managing flare ups. For them, it had healing effectiveness like a miracle and they wanted to share it with the world. 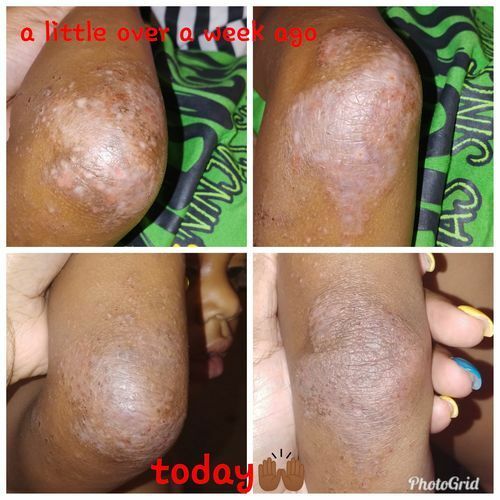 This product is made by people who live and breathe this condition everyday and are passionate about helping eczema sufferers of all ages find relief. All of our healing creams are handmade in the USA from the highest quality, 100% organic ingredients, each taken at peak of its freshness so each jar delivers the maximum benefits. Our honey healing cream can be used for a number of skin conditions and can be applied anywhere on the skin. Once the cream melts into the skin, a natural lipid bilayer will form to seal in the moisture and ensure the healing process. Rub a dime-sized amount into the skin’s affected area 1-3 times a day. Add water or aloe-based lotion on top if desired. Apply a thicker layer for a 20-minute mask, wash with a clean and warm towelette for a moisturized and smooth finish. Gently massage into dry areas of the skin until only a thin protective layer forms without too much excess product. Eczema Honey should be stored in a cool, dry spot. In warmer areas, the product may melt. Many customers store their jars in the bathroom, night stand, cabinet, or changing table. Jars do not require refrigeration but can be refrigerated for a super cooling effect. A small percentage of people may have an allergic reaction to one of the natural ingredients found in Eczema Honey. As a precaution, please review the ingredients and do a patch test by applying a bit of the product on an unaffected area first to see how your skin reacts. After a few minutes, if there is no redness or irritation, continue to use the cream as suggested. Disclaimer: These statements have not been evaluated by the Food and Drug Administration. This product is not intended to diagnose, treat, cure, or prevent any disease. Results may vary. This is the only product that gave me relief from itchiness and scaling due to my allergy. I’ve tried so many products but nothing can beat Eczema honey! Candice T. Reviewed by Candice T.
I'm sure someone can benefit from this! I REALLY wish I had a true before picture! When I tell you this boys eczema is bad! Its BAD! Prior to the top row of pics, his arms were completely open! He would scratch so bad until he drew blood. Waking up at night crying and scratching! Sheets all bloody smh! I've used Countless ointments and creams and none of them has gotten us to this point right here! HONEY did this! One of my old patient's wound Dr had given me some extra medi honey to use on a bad misquito bite on my leg and i NEVER thought to use it on him until about 3 weeks ago. I went to put his perscription ointment on and he screamed and cried because it was burning him so bad 😢 at that very moment i was like "let me try this and see is if helps him".The Medi Honey got the wounds closed within about 3 days but i kept wrapping his arms with the honey as a way of conditioning the skin until i could figure out my next step. 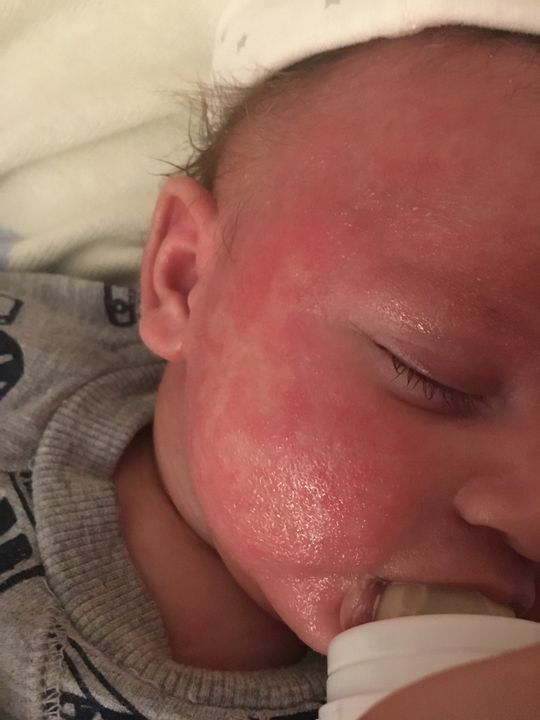 and while doing some research I came across Eczema Honey Co ... And their eczema cream has gotten him these results in about a week and a half! Thank GOD! i think I'm on to something good here! aisu a. Reviewed by aisu a.
my 17 month old son has had eczema since birth and i’ve been using 1% hydrocortisone to calm the spots. 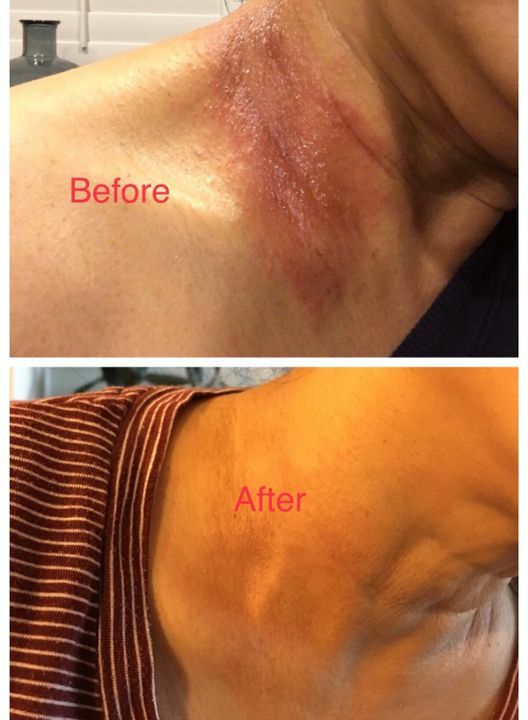 after tapering off of the steroids, i tried the eczema honey cream and it did not work. i would apply it multiple times a day and still, no avail. Michelle L. Reviewed by Michelle L.
So I was really excited to try this product, I loved the easy, no fuss ingredients. Unfortunately it did not help with the eczema on my face, and I really couldn’t get over the perfume smell, I kept rereading the ingredients and I am a person who makes my own body care and am really knowledgeable about all your ingredients.... so sad to say I was disappointed that it didn’t work and the smell was too overwhelming for me. I really wanted to like it! Good luck in the future. We bring you products that are safe, non-toxic, and highly effective. We believe in tangible results you can see and feel, and we believe in the power of nature to bring these results. Sign up and be the first to know about upcoming products and promotions!